Park Forest, IL-(ENEWSPF)- In the end, after an overwhelming show of support from people making public comments, the Park Forest Village Board dealt a blow to business. The board voted down the Illinois Street liquor license application by a rare split vote of 4-3. Monday’s split decision was a decidedly anti-business decision, another blow to business in Park Forest. But it was the denial of the Class E convenience store liquor license for Golden Quick Mart at 313 Illinois Street that was particularly disappointing. Public opinion strongly favored the license. 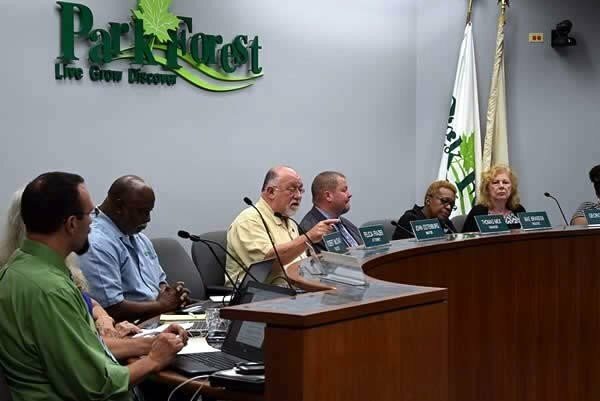 As of Monday afternoon, Village Manager Tom Mick told eNews Park Forest that, after receiving a second petition, the Village received 350 signatures on petitions. The second petition had 125 signatures, according to Mr. Mick. Of those, all but 4 were in opposition to the license. With the second petition, that left 150 signatures opposed, 200 in favor. At Monday’s board meeting, the line for public comments was long, and the vast majority of those who spoke were in favor of the license. These were customers of Mr. Ash Seif. One was an employee, Park Forest resident Dorelle Curtis. He referred to Mr. Ash (as those who made comments called him) as a father figure. Mr. Curtis was the only person Mayor John Ostenburg interrupted as he was beginning to speak. Mr. Ostenburg told Mr. Curtis and those who followed him to keep his comments short if they were saying things similar to those who went before them. After Mr. Ostenburg gave this warning, Mr. Curtis had his full say, and others in the board room, who were not in line to speak, stood and got in line to offer their support for Mr. Seif’s license. The first resident who spoke said that the store has been a “nightmare” for her and her family, that there was a lot of foot traffic, and some people drove behind the building on the grass. A later speaker, who spoke in favor of the license, recalled seeing the first speaker drive behind the building herself many times. There was also a social worker who spoke against the license, speaking about bringing “substances” into a neighborhood. Mr. Seif was in line behind him. Of the few who spoke in opposition to the license Monday, several erroneously referred to the business as a liquor store. This was clearly not the case, nor was it the intention of Mr. Seif to transform his store into a liquor store, something that would not be permitted under local ordinance if he tried. 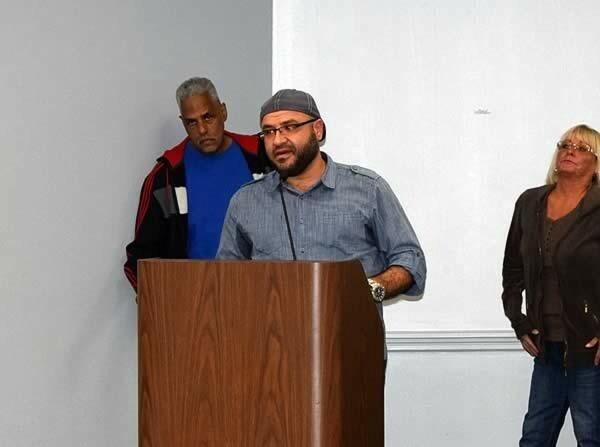 However, while speakers at the past two board meetings largely opposed the license–and many of the same speakers spoke at both meetings–on Monday, the majority of the comments were in favor of Mr. Seif and his liquor license application. We have already written about the nuisance this store presented in the past to neighbors and the Village of Park Forest. It appears, however, that Mr. Seif was left to suffer because of the sins of those in the past. Which has nothing to do with Mr. Seif or his business. The most odd thing that happened Monday night was the vote. After the public comments, every board member spoke. Trustee Mae Brandon correctly stated that there was no legal impediment to granting the type of license sought by Mr. Seif. “Our ordinance does not state that,” she said. “The schools that are there are not the schools that the state considers, that would apply to the distance between stores that sell alcohol.” The comment on the schools was in reference to concerns of some residents regarding Illinois Montessori Children’s House, a day care center in the same plaza. Still, Trustees Tiffani Graham and Jonathan Vanderbilt cited concerns about the children in their comments as to why they would vote in opposition to the license application. Trustee O’Neill voted in favor of the license. It appeared that, during his remarks, Mr. McCray was in favor of the ordinance granting the liquor license. After remarks from Mayor Ostenburg, however, Mr. McCray flip-flopped from any leanings he might have had in favor of the ordinance, and voted against. So, why all the fuss to begin with? If, indeed, the mayor himself made this promise to come in the community, why the charade of holding hearings, and bringing something before the Village Board that he would not support? In my experience, Mr. Ostenburg often pulled items from agendas, or items were never put on agendas, if it appeared there was less than unanimous support. or if something about an ordinance troubled him some of the trustees in the first place. And, why, why, did he not mention this promise at all during the last two meetings where there was public comment? Why wait until the 11th hour? Because the only people that mattered at that point were the six trustees seated with him. And the one vote he appeared to have swayed Monday night was that of Trustee Robert McCray. This charade appeared extremely disingenuous, especially that, the fact of the matter is, the Village Board just a few years ago completely overhauled Chapter 6 of the Code of Village Ordinances with respect to categories of licenses available for consideration. 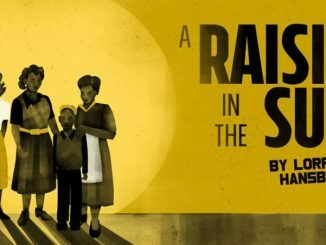 At that time, Mr. Ostenburg had every opportunity to tighten up the ordinances regarding sale of alcohol in a residential neighborhood or anywhere else in Park Forest. He did not. Class E license. A class E license shall authorize the retail sales of alcoholic liquors in the original package by a convenience store for consumption off the premises. No more than 15 percent of the total square feet of the premises shall be allocated to the display and sale of alcoholic liquors. A Class D license has similar language, but applies only to drugstores. Walgreens and CVS Pharmacy do have liquor licenses. Walgreens sought theirs last, and it was granted. Walgreens is in a residential neighborhood, on a street that is well-traversed by students going to and from school or the Park Forest Library, or, in the summer, the Park Forest Aqua Center. Indeed, Walgreens occupies the same intersection as the Park Forest Library. And there is Mr. Ostenburg’s “out.” If the business fails, he can then claim that the failure of that business had nothing to do with the liquor license. He will be able to blame the business owner not having items people wanted to purchase. Again, there was no resolution to that effect. The “decision” he might be referring to is some discussion at a budget hearing where Mr. Ostenburg stated his objections to staff considering a liquor store in the DownTown given past experiences. But “decision” is a very specific word. In the past, Mr. Ostenburg would caution trustee liaisons to boards and commissions that boards and commissions do not make “decisions.” They make “recommendations.” Only the Village Board makes “decisions,” by a vote, with proper public notice, at public meetings. “The other pledge we made was that we would not put another liquor store in that neighborhood, at that location,” Mr. Ostenburg said. He then clarified that Mr. Seif’s store is not a liquor store. If that was Mr. Seif’s intent, he would have sought a Class B liquor license, “A class B license shall authorize the retail sales of alcoholic liquors for consumption off the premises by a liquor store. A liquor store shall only be located in the C-2 commercial zoning district.” And, of course, a Class B liquor license would not apply to that store, in that neighborhood, as the store is in an area zoned C-1, neighborhood commercial. But there was no such decision regarding a liquor license at that store. There was no such resolution by the Village Board. Pledge? On that, Mr. Ostenburg would have to speak for himself. 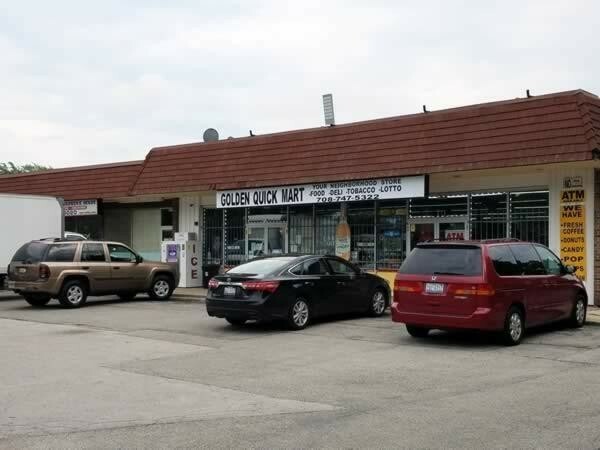 From the long line of people who spoke on his behalf, Mr. Ash Seif seems like precisely the type of business owner ideal for a neighborhood convenience store, ideal for Park Forest, ideal for that location, the Golden Quick Mart. This decision to refuse the license was not business-friendly, a blow to business in Park Forest, pure and simple. The writer is a former Village Trustee in Park Forest. So now we are going to have a high priced grocery store with gambling?? “PF Foods received a Class F grocery store and Class L video gaming liquor license. 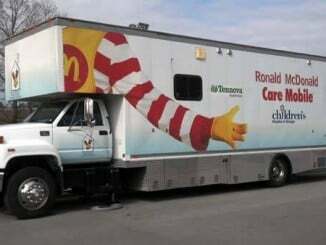 ” Come on now…smh!